Rated 5 out of 5 by TheOldWife from Great Game; Great Series I loved this first game in the series. (I also loved the next two in the series). The graphics are great, the play is fun and the story is interesting. A must for Poe fans! Rated 5 out of 5 by JustTheFacts from Another Excellent Midnight Mystery All 3 Midnight Mysteries are great. I played this one about a fortnight ago, and have just replayed it. There was no sense of deja vu, I still had to work to find all the objects and solve puzzles, even though I had played it so recently. Graphics and sounds are not as exciting as Devil on the Mississippi, but that's as it should be expected. The story occasionally gets confusing, unless you really stay on top of the clues. I particularly like being able to see a silhouette of an object before resorting to a hint. Tips: Watch the colour of the "interact" cursor to get the exact spot to click on your tool. Otherwise it is easy to rule out a tool that works, because of inexact clicking. Rated 4 out of 5 by gamefan10 from Can you solve the crime? This game takes you through the events that led to the death of Edgar Allan Poe. He appears as a ghost and gives you lots of hints all the way through the game. You can talk to people in the various scenes for more clues. 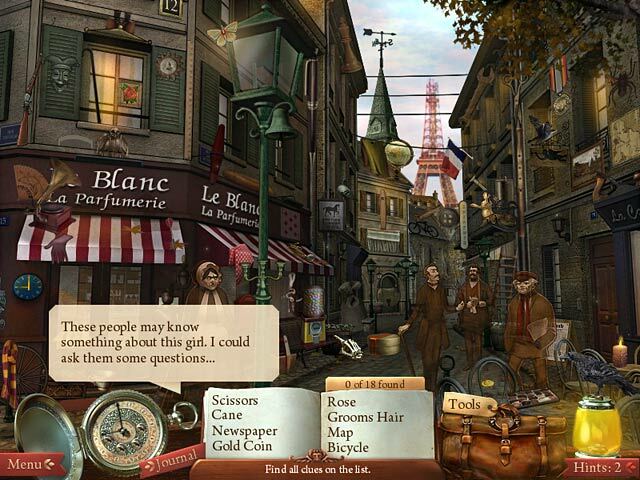 While you're finding hidden objects you're also collecting tools to use in solving the crime. The investigation takes you to many different locations. There are also mini-games to solve in between HO scenes. I thought this was a very interesting game. The only thing I had a little problem with was that some of the objects were tiny or hidden in a big jumble of other things and were very hard to see. But there is a very good hint system. In each hidden object scene you can find a raven, which means one more hint that can be used. These hints add up so you can have quite a few to help you in tough spots. I definitely recommend this enjoyable game! Rated 4 out of 5 by neilskinut from good fun game There are 3 episode focuses on HOS's, The hint system is ok though you need to be judicious in using them. You replenish your hints by finding the raven in every new scene. No worry not that hard of a game. Not much for adventure. Good game. The game is a bit short compared to others, but don't let that stop you - it's a fun game for an afternoon of playing. Rated 4 out of 5 by deayalas from Intriguing Story-line I enjoyed this game because of its intriguing theme and story-line. I recommend this for fans of mysteries and Edgar Allen Poe. Rated 4 out of 5 by rosekaufmann from NOT FRUSTRATINGLY CHALLENGING If you’ve played the other Midnight Mysteries games, you won’t be disappointed. Mildly challenging. Interesting storylines. After the rather lengthy intro (compared to other intros), delve into 3 separate stories for clues to find Poe’s murderers. Hints are limited, so collect the ravens in each scene for additional hints. Dark and mysterious linear game, so you won’t have to consult a W/T to determine what to do next, nor will you have to use all the hints. Very good large HOS. Clear and beautiful graphics. Talk to the characters as you meet them. A pleasant afternoon of play of a little less than 5 hours. Rated 4 out of 5 by timeheart from Great Game This is a great game. Not too much navigation, because the story moves you along from scene to scene. 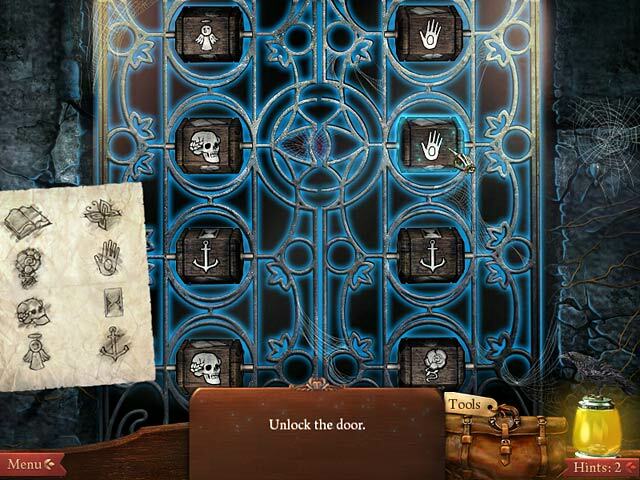 The Hidden Objects ranged from easy to hard and you have more than enough hints to make it through. Plot wise, it definitely gets more interesting after you make it through the first part of the story. I liked Mary's story more than the other, but the overall plot line was good. The only issue was that you couldn't really piece together what was going on at times, because you were getting information before you really knew what to make of it. You'll probably need to play it at least twice to get the fine details of the story in your head. Overall, great game and I will definitely continue the series. Rated 4 out of 5 by Emerald_Storm from 3 Mini Poe episodes to Investigate There are three separate episodes in this game - The Murder of Marie Roget, The Gold Bug, The Edgar Allan Poe Conspiracy. Each episode focuses on HOS's, interviewing different people at different locations and unlocking different clues. The hint system is adequate, though you need to be judicious in using them. You replenish your hints by finding the raven in every new scene. When you run out of ravens, you have to figure it out yourself - however, I never ran out of ravens as most of the objects were able to be found with a little intense looking. This is NOT an adventure type game - the game moves you along to the scenes. There is no navigation - you get a scene and work the scene - you never move around within a scene. (except for close up investigations) The game is a bit short compared to others, but don't let that stop you - it's a fun game for an afternoon of playing. Rated 4 out of 5 by samsterhamster66 from Poe Fans Unite! 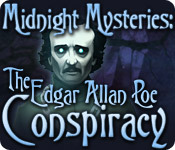 This is a fun loving and interesting game for any Hidden Object lover and great for Edgar Allen Poe fans! A must have! Great Game! Rated 3 out of 5 by J9CT from Straight Hidden Object Game!!!! Don't expect interactive characters and adventure, this is purely a hidden object game with puzzles. I wish it was as exciting as Ghostwriter, Salem Witch Trials and Devil on the Mississippi but it's not. It is however a good "in-betweener" game where you can't relax too much as it's not that easy to find the hidden objects. I did enjoy the little conversation blocks from witnesses etc. Rated 3 out of 5 by CajunJuJu30 from Not what I expected This game was ok but my only disappoint was the HOS...some of the objects were mixed in with the same color so it was really hard to see them and I had to use the hint button more than I'd have liked to. The storyline was ok. Wish they would've had voiceovers and not so much dialogue to read. It wasn't much of a challenge except for looking for the objects. Not one of the best in my book. Not sure how I would recommend this game. Rated 3 out of 5 by knucklebones from The bare Hidden Object bones of the later excellent games I'm a big fan of the 'Midnight Mysteries' series but I didn't care for this, the first game in the series. It's a straight Hidden Object game (HOG) without any of the elaborate and highly entertaining spectral adventuring of its successors. The core idea of playing as a spiritual investigator into past crimes is here, as is the great sense of time and place, but the handling's quite different. 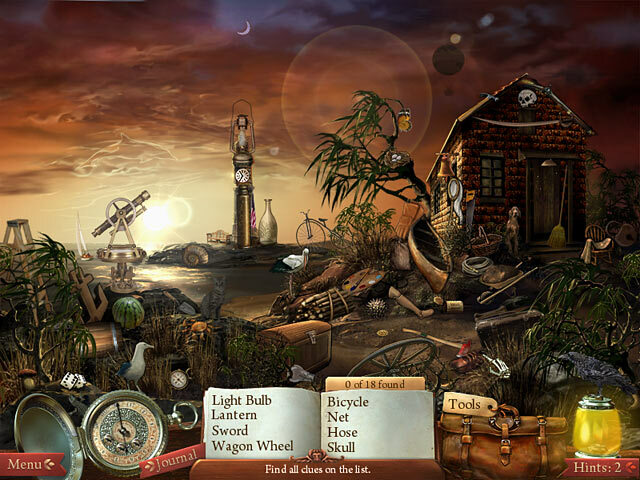 Hidden Object scenes (HOS) come one after another, with only bits of story and a few puzzles glueing them together. The storyline's constructed around Poe's short stories which feature Detective Dupin in 1840's Paris, and most scenes includes characters from the stories very briefly contributing their bits of evidence. HOSs are exceptionally well-drawn, crisp but very small, in crowded but uncluttered scenes. The game shows its age as it can't run in widescreen on my Windows 8.1 pc. There are few interactive elements so it feels like a static game compared to its successors. Too much wrong-clicking is penalized by swapping the beautiful 'hint raven' for an equally beautiful but rather battered and angry one-eyed cat. I so enjoyed the company of these characters that I happily mis-clicked throughout! (Fortunately mis-clicking is allowed in the subsequent games when playing in 'Easy' mode.) This game's interesting for seeing the bare bones of what this series would become, but it's really only for HOG lovers. I found some items so irritatingly small that I didn't manage to finish more than a third of the game despite wanting to follow the story. I'll give this 3 stars as it's beautifully drawn and would be a good challenge for HOG enthusiasts (especially for those with a normal-sized screen! ), but it wasn't up my alley at all. Rated 3 out of 5 by BeInformed from This is a good game if you are new to "Hidden Object Games" (HOG) When this game was new perhaps it would have been better for me, but I have played several of these games now I just finished "Midnight Mysteries-Devil on the Mississippi, Collectors Edition" (CE) and all I can say is wow what difference. If you are a new player or have played a few HOG's then this would be a good option to move on to more advanced games. You will definitely get some good hidden object experience with this game. Most everything is done for you. You will be lead along by the hand for the most part. I did use the "Try B4 U Buy" and am glad I did. I will say that the HO scenes are not easy by any means. Rated 3 out of 5 by EllynDreamsong from the E.A.Poe Conspiracy/Midnt.Myst. I don't own the game,played the trial version.Same as most HOGs.Very dark screens,hard to see objects.A story has to grip your imagination from the start;this doesn't-after an hour.Won't buy,they should remake.But,I bought,"Devil On The Mississippi". That's the 5 star best! P.S: E.A.Poe was murdered by"cooping": Kidnapped;had liquor poured down his throat;had his clothes changed to someone else's.Then,he was forced to vote,several times,changing clothes.He was found in the street,incoherent,with someone elses clothes on,and sent to hospital;and died.Many people died of cooping. Great loss and a horrible way to die.-For those interested in Poe. Rated 3 out of 5 by wiccan73stars from Too short Too easy This was VERY short for my taste in HOA games. I also found the beginning made me feel like someone was holding my hand every step of the way. The story line was okay at best, no voice overs at all and the graphics were fairly grainy and dark. You also have to click the correct objects several times before the game recognizes it and sometimes this will lead you into a penalty. Glad I bought it on sale and not full price! Rated 3 out of 5 by LasVixen from Houdini beats Poe with a shamrock I can tell this is the first game of the series. I bought the Houdini version. They're pretty similar but I miss looking for the extra object (ie the shamrocks for the bonus HOS). Will have to finish the trial before I decide if I want to buy it. I was about to quit before I realized that rubbing the icons was for one puzzle. I thought 'enough of the grave rubbings,already'. If you like a HOG and not so much travelling from one place to another frequently, you'll enjoy this. Pretty basic. Rated 2 out of 5 by aztumblweedz from Too Cartoonish. Too easy to play. Not enough depth to grapghics like "House of a 1000 Doors" series or "Mystery Case Files". No adventure in this game. Rated 2 out of 5 by godfreygirl from Awful is all I can think of This is one of the worse HO games I've played. There is absolutely no story line at all and it's ALL HOs....nothing else to fine or solve. Plus the graphics were very bad and not clear at all. It just goes from one HO scene to another. Don't waste your money on this one....I don't recommend it at all. Rated 2 out of 5 by Titania from Very poor game I was very disappointed with this game - having played quite a few midnight mysteries before like - 'Salem Witch Trials ' and found them to be excellent - this game was just not in the same league. The game was just hidden object with a couple of odd bits thrown in - there were no puzzles to speak of (none that an 8 yr old couldn't do easily) The music was boring - the graphics too dark and the storyline poor -overall I would not recommend this game at all. Rated 1 out of 5 by qawaza from Shocked I just couldn't believe it is a Midnight Mysteries game! How could they! Who suggested it! It is just HOs After HOs and no story, no adventure. I was hoping for a game like ( haunted Houdini deluxe). God knows how many times I played and replayed it. One can't get enough of it but THIS!!! It is just a shame. Sorry, but it just got on my nerves. I bought it with a free credit thinking that one could not get wrong with Midnight Mysteries. now I am very disappointed. What Edgar Allen Poe's ghost said in the beginning ( I am stuck, you are stuck too) sums up the game. It is suffocating. Rated 1 out of 5 by mymetime from Wow, most boring game ever This has got to be the most boring game I've ever bought on Big Fish!! It is almost entirely HOS, with a little dialogue thrown in. The description looked so interesting, and the story definitely appealed, but boy was I sucked in. HOS after HOS, some 'conclusions' that made absolutely no sense and then all of a sudden some spooky special effects that came out of nowhere and seemed to have absolutely no relevance to everything else. I guess you need to know a lot about Poe to understand anything that's going on. Only buy this if you love HOS after HOS and nothing else! Rated 1 out of 5 by crisgori from No The separation in chapters with no backtracking brings down the fun and the challenge. Rated 1 out of 5 by Terface52 from Static pictures and no real game, just a lot of HO I had played the other Midnight Mysteries games and loved them. This one was terrible. You just go from one Hidden Object screen to another, and it limits the objects you can look for each time. Terrible!